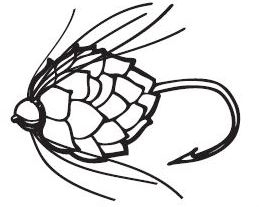 Vermont Recommendations (Stowe, Burlington, Sugarbush)? There’s lots of good food and beer, but it tends to get one note and heavy after awhile. I’m looking for some options to switch it up a bit. It doesn’t have to be a restaurant. Anything food related will do. On our trip to the area in June, we also ate at Leunigs. You certainly needed an appetite to enjoy the generous portions. Other dinners were enjoyed at Hen of the Wood and Trattoria Delia. Both excellent experiences in their own ways. The latter I wanted to transport to northwest England so I could become a regular. There is a cooking school in the pedestrian only area in Burlington. I was crestfallen to learn that the Dog Team Tavern in Middlebury burned down a decade ago. Though Middlebury is a bit outside of where I will be spending time and am looking for recs, I would have made a trip out of my way for one more crack at that relish wheel and the sticky buns. No Dog Team, Carbur’s, Deja Vu, Shed. I guess it’s true that you really can’t go home again. I have a good friend who lives in Ferrisburgh - she recommended Prohibition Pig in Waterbury and Antidote in Vergennes right off the top of her head, but she will come back with more! We love Prohibition Pig in Waterbury, but then I am a NC native and the chef from NC makes excellent eastern style NC BBQ. Also sides and apps are really good. We didn’t try the brisket or chicken BBQ because we like the pulled pork so much. My husband liked their beer. The brewery behind the restaurant serves burritos, tacos, etc. We didn’t try those either, just kept going back to the restaurant. Our youngest attends college in Burlington and we have been several times. Leunigs for a breakfast/brunch, A Single Pebble for Asian, Waterworks and Bluebird (bbq) in nearby Winooski are both great. Honey Road ( a loose relation to Oleana) is outstanding and the Istanbul Kebab House restaurant should not be missed. Its a great area, I hope you have a chance to enjoy it. I’ve heard good things about Honey Road. Thanks for reminding me. It is going on the list. A few more Stowe recommendations: Edson Hill (a little fancier than most places in Stowe; the cozy downstairs tavern is hard to beat on a blustery Vermont night); the Fritz Bar at the Stowehof (funky old school subterranean tavern with decent German food, a fireplace, and good drinks); Michael’s on the Hill (also on the fancier side, between Waterbury and Stowe); Roost at Topnotch (I like it better than their higher end restaurant, Flannel); von Trapp Bierhall (good beer and good food — the OP mentioned heavy, and some of the food here fits that description, but I really enjoy some of their lighter items, such as the radishes); Black Diamond BBQ in Morrisville (a little off the beaten path, but just chosen as best BBQ in Vermont by Food and Wine, plus they always have a good selection of Hill Farmstead on tap; only open Th-Sa nights, but they are also at the Stowe Farmers Market on Sundays). I also enthusiastically second (or third) Pro Pig. A second for Black Diamond BBQ: we were there this past spring and I had one of the best veggie burgers I’ve had in a while, of all things. Chock full of good healthy stuff, but still really satisfying and toothsome. Its a fun spot too. My son loved the wings. Thanks! Some great looking recommendations here. Tried the Fritz bar a few weeks back and really enjoyed the food and crowd that was not as nigh maintenance as some in the area. Thanks for the rec. I’ll be back in the area this week and plan on checking out the tavern at Edison Hill. I was interested to see that Pro Pig was just purchased by the Hen of the Wood / Doc Ponds folks. IMO Pro Pig had gone downhill a bit recently so it will be interesting to see what they do with it. Yes. There appears to be a back story to the Pro Pig purchase. We were there when they closed for a few days just after the sale and we able to get in the last day we were in Waterbury. We heard from a few locals that the new owners were “more community minded” and that the original chef was the only person who did not stay on after the sale. I have no way of knowing the veracity of what I was told, or what it means, but the story was quite consistent from three different people. I’ve stopped at Black Jack’s in Waterbury and enjoyed it. The food was been great and a fair value. The pub has a friendly atmosphere and kids are welcome. Beer selection is top notch to boot. I had the Heady Dipper, their take on a french dip. Short ribs braised in Heady Topper, with horseradish. Quite delicious. I’d warn anyone else in the area away from the Green Goddess Cafe in Stowe. It seems like this place intends to to little other than separate tourists from their $. We stopped in for lunch and a salad and sandwich ran $42 (I think we may have been slightly overcharged). These are high end city prices, only the portions were relatively small and the food just blah. The salad came in a big bowl, but the actual amount of ingredients wasn’t even enough to fell someone up for a meal portion. The turkey wrap as like something you’d pull out of a gas station refrigerator. Someone said they do better with breakfast, but we’ll never find out. 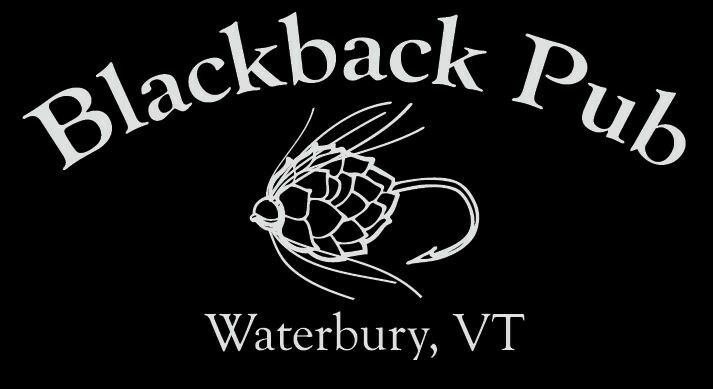 Is it possible you mean the Blackback Pub in Waterbury, VT, which does have a Heady Dipper sandwich? Google doesn’t seem to know a Black Jack’s in Waterbury. Yes, sorry that’s it, my bad. Be for-warned, they do not regularly serve a burger. I was surprised that a few people came and left due to this. The Shisito peppers were great as well. I just went to the Green Goddess Cafe web site. I’m always very wary of restaurants who post menus without prices. Thanks for the warning!